Early evening on a warm spring day, I am out for a bike ride with my husband and a friend. After several days of rain, the trail buzzes with energy — a young family riding bikes, an older couple taking a leisurely stroll, a group of runners training for their next 5k, a man walking his dogs. As we pedal, woods mask housing developments and a busy road. The smooth asphalt slopes gently upward, making for an easy ride, even for this inexperienced biker. We catch a glimpse of a ravine and break to take in the view. 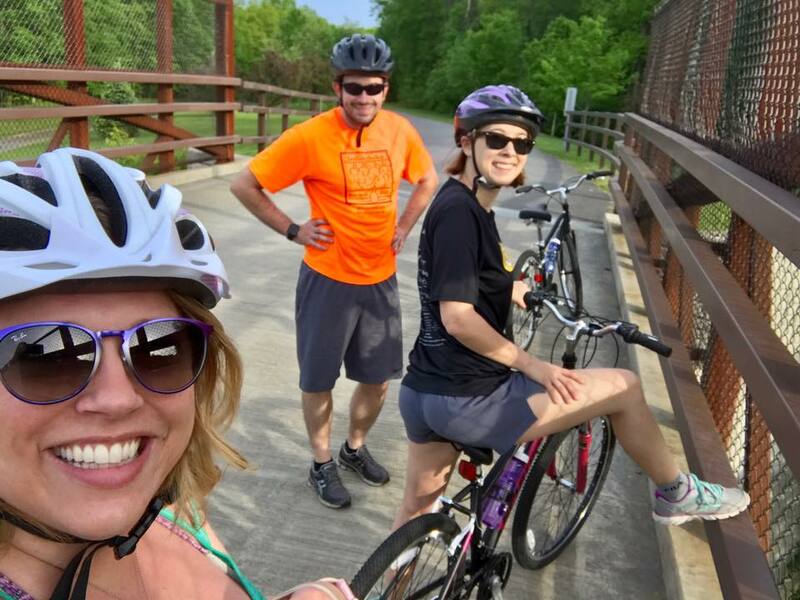 We are biking the Zim Smith Trail, a 9-mile, multi-use trail designated a national recreational trail by the U.S. Department of Interior and National Park Service. Maintained by Saratoga County, the Zim Smith trail is part of a 200 miles system of trails our accredited local land trust, Saratoga PLAN, has helped build over the last 10 years. Trails promote an active, healthy lifestyle and support the local economy by providing opportunities for outdoor recreation to residents and visitors. In 2012, the Outdoor Industry Association reported that consumer spending on outdoor recreation-related expenses had reached $33.8 billion in New York state. Recognizing these benefits, Gov. Andrew Cuomo recently announced the Empire State Trail, a 750-mile, $200 million initiative that represents the most ambitious such project in state history. Most of all, multi-use recreational trails create connections. Across New York, land trusts like Saratoga PLAN are partnering with community leaders and other organizations to develop interconnected trail systems — linking existing trails to each other, to economic centers, residential areas and conserved lands. To learn more, check out a few great examples from across the state! Do you have a favorite trail? Share it with us on Instagram – tag us @ltalliance! Katrina Howey is grants management specialist at the Land Trust Alliance.